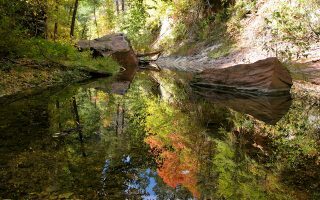 Sedona is a small city in The Grand Canyon State’s northern Verde Valley. It’s a vibrant land of red rocks, art, music, and film festivals, known primarily for its “vortices”, which are said to generate energizing, balancing, and healing energies. 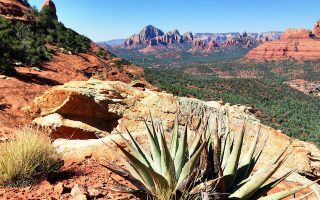 Whether drawn to the metaphysical or not, runners will undoubtedly be impressed by Sedona’s gorgeous and extensive trail network. 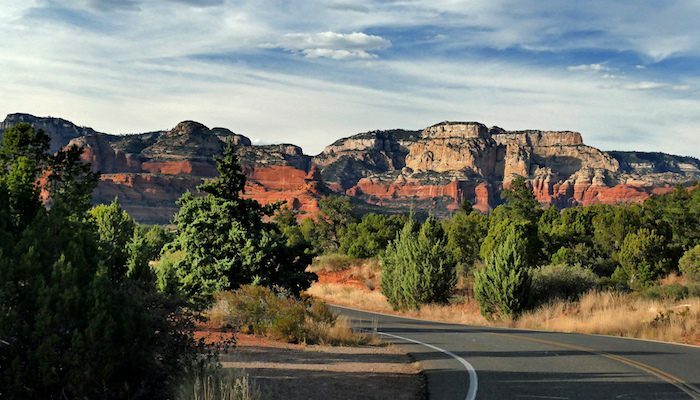 With miles of paths through canyons, hoodoos, and streams, the area is a trail runner’s dream, but there are plenty of road opportunities for running in Sedona as well. 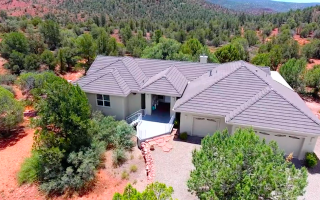 The neighborhoods of West Sedona are great for exploring southwestern architecture, while the Red Rock Loop Road and the Verde Valley School Road offer a great pavement surfaces without sacrificing views. The Bell Rock Pathway is a nicely kempt gravel surface for runners of all skill levels, but if you’d like to challenge yourself with a trail run, try the Hangover Loop, the Hiline Trail, or Airport Mesa. For an easy, flat run, create your own route around downtown, or the trails in Posse Grounds Park. Notes: Try to run near sunrise or sunset to capture the magical light hitting the rocks. Be aware of the heat, especially in summer — go early and hydrate accordingly! 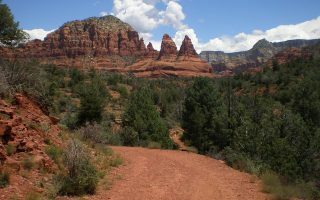 Note for trail runners: The Sedona Running Company has a great list of trail run options in Sedona. Sedona is a two hour drive from Phoenix. Although there are buses and shuttles, a car is generally needed in this area. 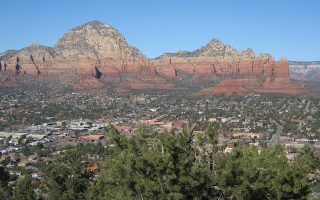 Downtown Sedona is small and walkable, and the Verde Lynx bus makes some stops at major points around town. A flat 3.5 mile hard packed gravel walkway with great views of Bell Rock. A good option for a non-technical trail run. A hiking loop around Table Top Mountain through basalt boulders & red rocks to panoramic views from the Tabletop Plateau. Officially called the Airport Loop Trail, this well-worn, marked 3.3 mile loop makes for a good hike/walk/run. 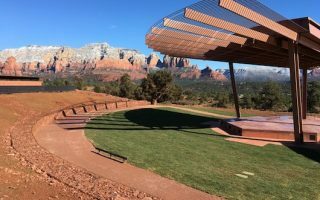 Formerly a staging ground for the Sheriff's Posse, this park a couple of miles west of downtown offers a nice option for those looking for some paved, off-road flat running in Sedona. About 2 miles of trails. 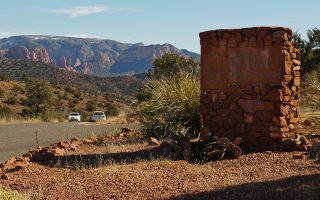 Explore Sedona’s various architectural styles with this 4 mile loop through West Sedona’s neighborhood streets. Relatively light traffic and good desert views. This 8.5 mile paved loop ends in a tough hill climb. Starts with a short section of trail and continues on the road shoulder. Nice views of Red Rock State Park. Run up to 10 miles on this long paved road between Oak Creek and Oak Creek Village. Enjoy a popular Hollywood western backdrop with this 8 mile loop on three fairly technical trails. A moderately challenging 7.6 mile singletrack around Cathedral Rock. Steep climbs, but great views. 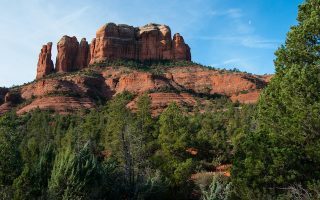 Can combine with run or hike around this famous Sedona landmark! Sedona weather is cooler and more pleasant than the frying pan that is Phoenix. And the area averages 80%+ sunshine! At the height of summer, temps climb into the mid-90s, but cool off quite nicely at night. 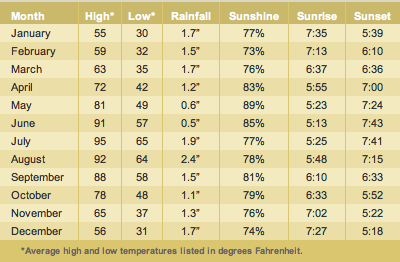 Winters are great for running, with high temperatures in the 55-60F range (14-16C), with nights dipping below freezing. Bring a layer or two! The area averages about 17 inches of rain a year, and it can snow occasionally. Sedona Running Company is a great source for gear and trail running info. Sedona Road Runners is the local running organization.